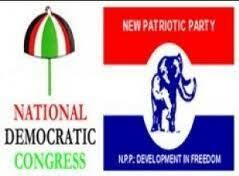 Members of pro National Democratic Congress (NDC) vigilante group “The Hawks” have stated categorically that no amount intimidation from the security agencies especially the police service can stop them from protecting party members in the 2020 elections, MyNewsGh.com reports. Six persons were reportedly shot at the Baweleshie polling centre during last Thursday’s by-election in the Ayawaso West Wuogon constituency following an impasse over the polls. It was reported of bloodstains being visibly splashed at the polling centre near the candidate of the opposition National Democratic Congress (NDC). The National Democratic Congress (NDC) claimed for fear of further bloodshed, it had to withdraw from the Ayawaso West Wuogon by-election following a shooting incident at the residence of the party’s candidate, Mr Kwasi Delali Brempong. The leader of The Hawks, Wayo commenting on Ayawaso by elections chaos in an interview on local radio station in Kumasi monitored by MyNewsGh.com charged the security agencies especially the police service to be neutral and fair in the 2020 elections to ensure peaceful elections. According to Wayo, members of the Hawks are ready for everything as far as protecting ballot boxes and NDC party members is concerned. “The security agencies should be fair to ensure peaceful elections in 2020 elections. We cannot fight with the security agencies and we will never do that. We are ready to protect NDC party members. We will always stand for peace. We know the security agencies will be fair and do professional work. We won’t accept intimidation from anyone. We will work with the security agencies to ensure peaceful election but nothing can stop us from protecting ballot boxes and NDC party members” he warned. He added that members of the Hawks will not allow anybody to cause mayhem in the 2020 general elections as was witnessed in the Ayawaso West Wuogon Constituency.